Job's Children: Who was Reverend John Lambert of Liberty Hill Primitive Baptist Church? Who was Reverend John Lambert of Liberty Hill Primitive Baptist Church? This will be one of many posts on my ancestor, Rev. John Lambert, born circa 1772, who died in Stanly County, North Carolina, as my research is continuing and information on him is vague and hard to come by. 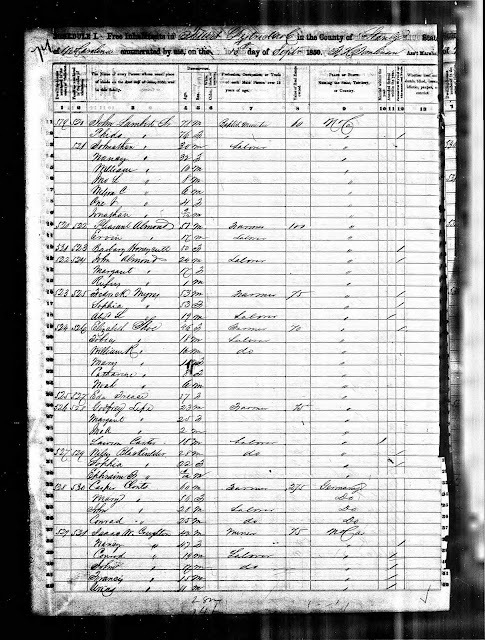 The most information I have on him comes from the one and only census record he appeared in in Stanly County, NC, the 1850 census. 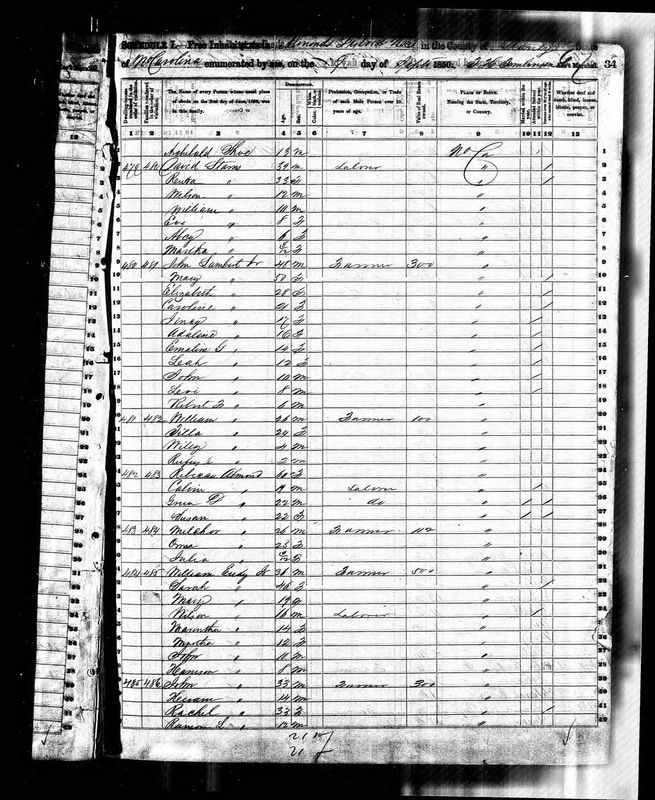 This census tells us that John was born about 1772 in North Carolina, and his wife, Phida, about 1774 in North Carolina. He is actually the first household enumerated in Furr District. His profession is given as "Baptist Minister". Dwelling houses numbered in order of visitation was 519 and families numbered in order of visitation was 520. These numbers were significant because also in "Dwelling House 519", but family number 521, was the family of Jonathan Lambert. Either Rev. John was living with Jonathan or vice versa, either in the same house, or either two separate houses on the same property. The neighbors were pretty important as well. In 520/522 was Pleasant Almond, 51 and his 17 year old son Ervin. Pleasant Almond was the son-in-law of Rev. John Lambert. He married John's oldest daughter Rebecca. Rebecca was living apart and separate from her husband Pleasant at this point, with some of their children together. They have their own story to tell. The reason was probably the person living right next to Pleasant and Ervin, Barbary Honeycutt, age 50. Ervin would grow up to marry a granddaughter of Rev. John Lambert, Piety Caroline Lambert, not to be confused with his daughter, Piety C. Lambert Page, wife of John Calvin Page. Ervin, of Irvin, as he is sometimes seen was Nelson Ervin Almond. He was a Civil War soldier. His first wife Piety died after giving him 4 children. He would remarry in 1871 to Nancy Ellen Reeves, daughter of Joseph J and Lilly Reeves of Cabarrus County, who had been born in Orange County, NC and lived in Guilford County for awhile before her widowed mother arrived in Cabarrus. The Reeves family would migrate to Abbeville, Lafayette County, Mississippi and Ervin would follow. In 1880, his children were living in amongst their Lambert relatives, but the older two, Phillip Levi Almond (Allman) and Mary Almond Romans, would remove to Mississippi with their stepmother's people. Nelson Ervin Almond would return to Stanly County and was buried with the Lamberts. Piety was not his cousin as Rebecca was not his mother. On his marriage license to Ellen Reeves, his parents are listed as Pleasant Almond and Barbary Pliler while hers are "Jos and Lilly Reaves". This usually indicated that the parents of the individual were not married, as the woman had a different surname. 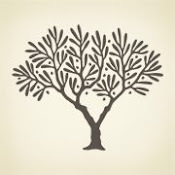 Now, in the "The Stanly County Marriages Book I" published by the Stanly County Genealogical Society, his parents have been transcribed as "Pleasant and Barbary Almond", however, by viewing the actual document online, for his mother, it clearly lists "Barbary Pliler". Barbary was the nickname for Barbara and this Barbara was Barbara Pliler Honeycutt who lived next door to Pleasant Almond. 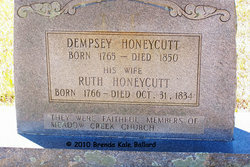 She had married Isham Honeycutt in Cabarrus County in 1821, a veteran of the War of 1812 with a penchant for wanderlust who left her for adventures in Tennesee and Arkansas, who married twice more, without, no doubt going through the trouble of divorce. But that's another story. So, sometimes the online entries are more helpful, and other times, the books are more helpful. So back to the book. While Rev. John Lambert's household was the first entry in District 5, the Furr District, the very last household in District 5, the Almond District, was Nathan Lambert. Nathan, also age 30, was in Household 518/519, right next to Rev. John Lambert and Jonathan Lambert, in 519/520. 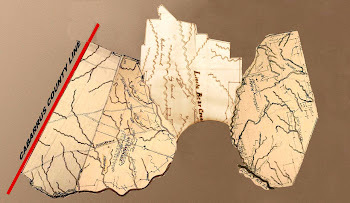 So therefore, the Lamberts must have lived on the Almond/Furr line, with the line going straight between the property's of Nathan, John and Jonathan. Almond Township was full of Honeycutt's, Pages, Furrs, Eudy's, Morgan's, Blackwelders, Hatley's, Almonds, Cassel's, Bowers, Burlesons, Springers, Motley's, Herrin/Herrings, Mortons, Whitley's and in particular, Needham Whitley, both Sr. and Jr., whom I feel may play a very important part in the John Lambert story. These names, these families, would all marry into the Lambert family at sometime or another and add to that West Stanly genepool. John Lambert, Jr. lived in Almond Township, next to his son William "Buck" Lambert, my line and his sister, Rebecca Lambert Almond. On the other side of him was the Starnes, another family line in my tree I've been trying to figure out. There was Nathan T. Starnes and David Starnes, either brothers or uncles of my Frederick Fincher Starnes, whose Great Granddaughter would marry a descendant of John Lambert, Jr. and Sr., to become my Grandparents. The first Lamberts arrived in Stanly County, or possibly Cabarrus first, in the mid 1820's. At this time Stanly County was a part of Montgomery County. They appear to have landed in the exact same place they would later be found, on the Almond/Furr Township line near Cabarrus County. "State vs Frederick Lambert, Sheriff of Montgomery County amerced nisi $100 for failing to make a return of capias vs Frederick Lambert Sci Fa. ordered." "State vs Frederick Lambert, Capias issued to Montgomery County for Lambert". The year after Frederick skips court, on February 23, 1826, Nathan Lambert married Dolly Goodman, with George Goodman as bondsman. Dolly was the widow of a Michael Goodman, having married him in 1812 as Dolly Scott, with John Scott as bondsman. In 1830, two of the Lambert brothers show up as Heads of Household in Montgomery (now Stanly) County. Frederick "Fred Lambert" shows up with a household of 4. Two of his neighbors were Dempsey Hathcock and Dempsey Springer. He would have been the male between 15 and 19. He evidentally married very early. His wife was a tad older, as she was counted as being at least 20. Rebecca would have been a year and a half old while John would have been an infant approaching his first birthday. The other Lambert family in the 1830 census was that of John Lambert, and this was a young family, not an older one, so it would be John Lambert, Jr. While Nathan the first was married in 1826, his wife, who had to be considerably older than him, is back to her widows name and alone in 1830. Nathan may have been this Nathan in Randolph County, NC, but not neccessarily so. Rev. John's daughter, the older Piety, was in the area by 1834, because on August 16, 1834, Piety marries John Calvin Page in Cabarrus County, with John Jr.'s neighbor, Dempsey Hathcock as Bondsman. Geo H Honneycutt                Michael Garmon Jur. Frederick was in this area until at least 1838 when he shows up on a Petition for the Division of Montgomery County by the use of the Pee Dee River, due to the danger and inconvenience of persons on the west side of the river, trying to get to the Courthouse in Lawrenceville, the County Seat. In District 14 we find Frederick Lambert next to neighbor Dempsy Honeycutt, who was probably his father-in-law. Pleasant Almond, his wayward brother-in-law is on there as well as his brother, George W. Lambert, who also moved away, next to Nathan T. Starnes, who was a neighbor to John Jr., but oddly, John Jr. nor John Sr. are on the Petition, nor Nathan, but there is a Tobin Lambert, whom I've never seen mention of anywhere else. I wonder if that is a bad translation of Nathan, but that doesn't make much sense. Two Lamberts also show up in the 1840 census, John and Nathan. Nathan, of course was the son of John Sr. , not the son of John Jr., who would only have been 10. And the John was John Jr. not John Sr., because of the age. It is likely John Sr. was in the county by then, because John Jr was noted as "Junior" to differentiate him from a "Senior" John Lambert who was somewhere, but probably living in another household. There were a few other places to look to see when the Lamberts and Rev. John, in particular, first arrived in the Stanly County area. In the book "Abstracts of the Minutes of the Court of Pleas and Quarter Sessions of Stanly County 1841-1850" Abstracted and Edited by Helen Lefler Garner, the earliest court appearances from the establishment of Stanly County in 1841, to the 1850 census, is covered. The Lamberts made a few quiet appearances. Michael Cook vs. George W. Lambert : Judgement granted against George W. Lambert and his securit Jonathan Lambert for $14.16 to be discharged on payment of $6.95, interest and cost and cost of this shift. 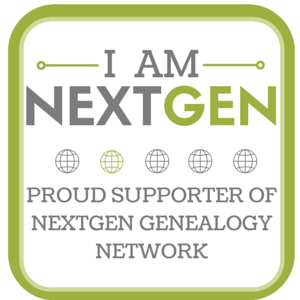 Note: Frederick and George W. Lambert descendants are verified by FT DNA Y-testing to tie into our family. So the Pace to Lambert change was before their generation. Jonathan is mentioned one more time, serving as a juror in 1849. Nathan registers his ear mark in 1847 and serves as a juror 4 times. This is probably the younger Nathan, son of John Jr., as the older Nathan has already moved. One of the John Lamberts proves a deed of Frederick Pages' in 1841. Sometimes they designate whether it's Sr. or Jr. and sometimes they did not. This was probably Jr. In 1842, "just John" was appointed to Superintend and manage the election in his District for members of the General Assembly along with Mathias Furr and Andrew Honeycutt. In the December 1842 Session, Sheriff Eben Hearne listed lands he proposed selling for taxes owed in 1840 and 1841. On the list is John Lambert Sr. who owed .77 cents for taxes on his 66 acres on Running Branch. So, although I can not find any land deeds for the Lamberts in Montgomery County prior to the Division of Stanly, John Lambert Sr.,had recieved or purchased 66 acres prior to 1841. On January 9th, 1843 10 of those 66 acres were sold, belonging to John Lambert Sr.
John Jr. served as a juror a couple of times and then served again as a manager of an eletion for Governor. William Lambert, son of John Jr. was the most popular jurist in the bunch, serving a total of 7 times, beginning in 1850, when he was 24. He was called first in 1847, at age 21, but then dismissed. No real revelations there, with the exception that John Lambert Sr. owned land before 1841. Knowing that Rev. 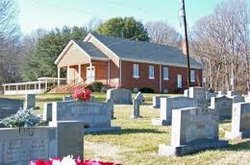 John Lambert was a member of the Primitive Baptist faith, I decided to look in the available records of those churchs in the County. Our branch of the Primitive Baptists fell under the Sand Creek Baptist Association. Sandy Creek was located in Randolph County, North Carolina, near the town of Liberty. Rev. Shubal Stearnes was a minister there and was a very crucial part of the founding of the Association in 1758. In it's Hey Day, the Association covered a large territory from Southern Virginia to the Potomac River in Georgia. There were 7 North Carolina churches and 2 Virginia churches involved at it's inception, those including Little River in Montgomery County and Abbott's Creek in Davidson County. I searched through the book, "A History of the Sandy Creek Baptist Association" by George Purifoy and also the online archives of Church Minutes for Meadow Creek, Bear Creek and Liberty Hill, which were located in Stanly County. Now, I've seen many Family Trees having my Rev. John Lambert purported to be the John Lambert who married Mary, the daughter of Henry Bray. It was a little surprising to see that these men were representatives of the Primitive Baptist Churches. There was also a John Lambert in Randolph County as well as Chatham. This fact tends to lead creedence to that theory, but in another post, I will explore these two men more closely and present my conclusions then. Fork of the Little River, near Troy NC, was represented by Francis Jordan and Benjamin Simmons, two men from very old and deeply rooted Montgomery County (East Pee Dee) families. Mouth of the Uwharrie, a church close to my heart and dna was listed in 1811, represented by Burwell Coggins and John Wilson. This congregation was known to be active before 1780. Located first on the West Side of the River, across from where the Uwharrie meets the Yadkin to form the Pee Dee River, it was near the defunct town town of Tindallsville, within the confines of what is now Morrow Mtn State Park. It later relocated to the east side of the River to the town of Henderson, on the banks of the Uwharrie. My ancestor Rev. William McGregor ministered there. He was ordained in Franklin County, NC and lived in what is now the preserved Kron House at Morrow Mtn. He sold the property to Dr. Kron, a physician and botatnist from Prussia, whose French wife, Mary Catherine was the niece of Henry Delamothe, a wealthy French prospector and land baron who had fought with Lafayette. His daughter Ava married Bennett Solomon. 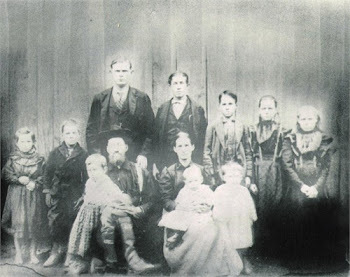 The Solomons, along with the McGregors and Huckabee's came to this area from Franklin County. I mention this because at this point in time, I believe Rev. John Lambert could have been born in Bute or Franklin County, NC in 1772. Was he influenced or recruited by this group of Baptists? In 1811 the Mouth of the Uwharrie Baptist Church was represented by Elder Bennett Solomon, my ancestor and son-in-law of Rev. William McGregor, John Mabry and Isaac Calloway. The Mabry's were also from the same area. Just recently in examing Franklin County records, I kept seeing the names Seth Mabry and Jesse Mabry. I can not be certain if this is the same Seth Mabry and Jesse Mabry we find later in Montgomery/Stanly County records, or a younger generation, but the chances of them being one or the other are fairly good. Isaac Calloway is another ancestor of mine. From his son Job Calloway to granddaughter Vashti Calloway, leads to another Minister in my family line, Rev. Samuel P. Morton, who married Vashti Calloway. He preached in many of the local churches and Isaac ended up at Ebenezer, which became Badin Baptist. A note says that this grouping met at "Marshalls Meeting House" in Anson. This was no doubt the James/Henry Marshall family near the Rocky River and Anson/Stanly border. Rocky River Church, where Samuel P. Morton would preach, organized from this congregation. There's note in the minutes that "Rev. Bennett Solomon was appointed to Yadkin". Was this the Yadkin River Circuit, a new congregation or another name for the existing church? 1814 Mouth of Uwharrie was represented again by Elder Bennett Solomon, Burwell Coggins and Bartlett McGregor, son of Rev. William, who was now deceased and buried on a hill behind the Kron House. 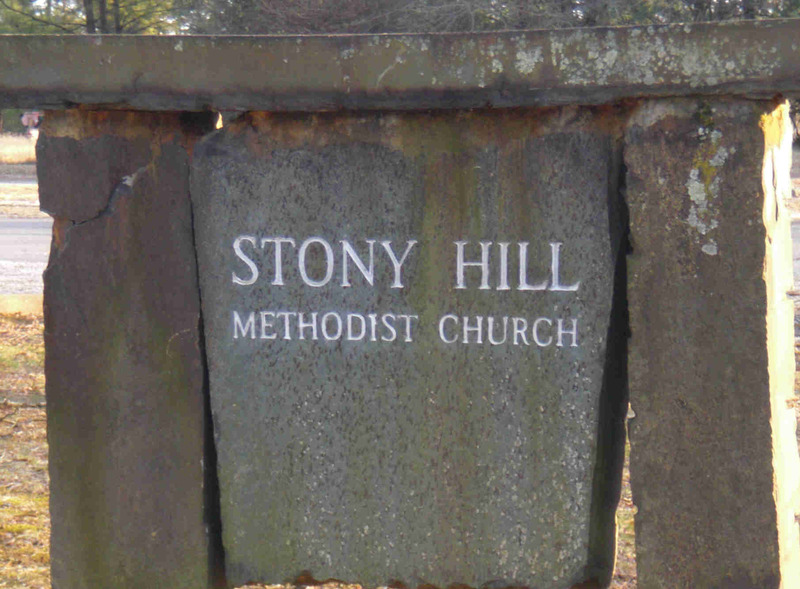 It is believed that the congregation of Mouth of the Uwharried Baptist Church became the congregation of Stony Hill Church, which is Methodist, located originally in the Tindallsville area near the old Kron place and now located off of Valley Drive, a few miles away from the original site,and others, who remained in the Baptist faith, relocated to Ebenezer Church, which became Badin Baptist, but which existed long before the town of Badin was concieved. Other arms of the Primitive Baptists in the Sandy Creek Circuit were formed. Meadow Creek, one of the oldest, was formed in 1768. Eventually an 'arm' of Meadow Creek, which is located just outside of Locust, in Stanly County, was formed called "Bear Creek". This old church is located on a hill following the Stanly/Cabarrus line north. It served the Bear Creek area families. 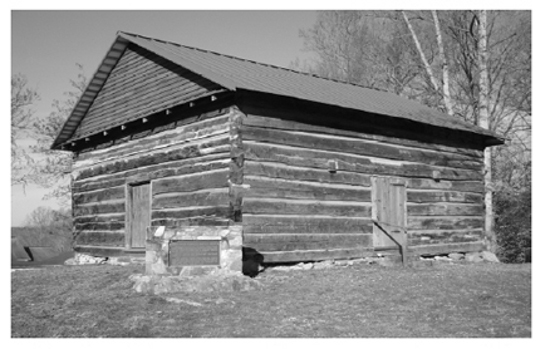 At the 1833 Association meeting, Bear Creek was reprensented by Hezikiah Herrin, Ezekial Morton, Hasten Hatley and John Whitley. Hezekiah Herrin and Ezekial Morton's children would marry into the Lambert family. 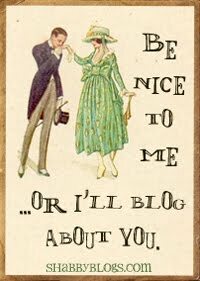 In 1834, something changed that caught my eye. The churches represented were: Bear Creek, Freedom, Meadow Creek, Piney Woods, Jerusalem, Coldwater, Cedar Creek, and "Littles on Bethany". Bear Creek was represented by the following party: Malachi Harwood, William Eudy, Jesse Coley and John Lambert! Was this John Jr or Sr? It doesn't say. But Jr. was never a minister. The next year, John Lambert did not show up. Bear Creek was represented by emissaries Henry Wiggins, Hezekiah Herrin and William Whitley. John did not show back up until 1837 with Hardy Wiggins and John Morton. Lawyer's Springs joined that year and Cedar Creek was disolved and joined the Bethany congregation. 1842 John Lambert, William Whitley, Allen Almond. By this time I am pretty sure this is Rev. John Lambert who is making the meetings. A couple of things happen this year. "Article 13: The Pineywoods Church having failed to represent herselp in the present violation. Appointed John Lambert, Isham Coley and Ruben Honeycutt to said church and report at hext Association." These individuals were from different congregations. The Coley's, I know, were involved in Freedom Church, which was located above Long Creek, off of the current St. Martin Road, about 10 miles southwest of Albemarle. 1842 -1843 was the year that Elder John Lambert was called upon to minister at Meadow Creek Church for a period of 12 months. In 1843 Pineywoods joined the Abbott's Creek Association and in 1844, Groves Creek was back and Lane's Creek joined the association. Bear Creek was again represented by "Elder John Lambert, Jesse Coley and Neeham Whitley. This had to be Needham Whitley Jr. Needham Whitley Sr., also apart of this congregation, was from Johnston County, North Carolina, a fact I found interesting. 1845, from Bear Creek again came "Elder John Lambert, William Eudy, and John Morton." Meadow Creek was represented by Solomon Burris. High Hill, in Union County represented by a party of Helms and Liberty Hill Church, represented by L. K. Huneycutt and Solomon Burris. Two articles addressed at this Association meeting caught my attention. No 4 - Extended an invitation to churches desirous to unite with the Liberty Hill church, newly constructed in Stanly County....letter of Admittance document delivered by delegate Levi K. Huneycutt accepted by the moderator. No 16 - Called on Presbytery to report. Elder John Lambert reports himself and William Rushing was (sic) called to and formed a Presbytery and constructed a church in Stanly County called Liberty Hill." Note: In 1842, in Tishomingo County, Mississippi, W. Frederick Lambert, son of Rev. John Lambert, is also in association with a William Rushing, opening a tavern and being appointed County Treasurer. Coincidence? I doubt it. Liberty Hill is represented by Solomon Burris, Levi Huneycutt and "Jeremiah" Burris. I believe he 'Jeremiah' is an error, as I've not seen any other reference to anyone who could have been Jeremiah Burris and also, because of the next year's entry. 1848 - Bear Creek was represented soley by John Lambert and Liberty Hill was represented by Solomon Burris, Levi Huneycutt and Jeremiah Hinson. I beleive the 1847 Jeremiah was probably Jeremiah Hinson. Another interesting article appeared this year: 13 - Brother William Rushing and Elder John Lambert ordained Levi Huneycutt deacon of Liberty Hill. In 1849, the 18th anniversary of the Association was held at Liberty Hill. There was no mention of John Lambert. 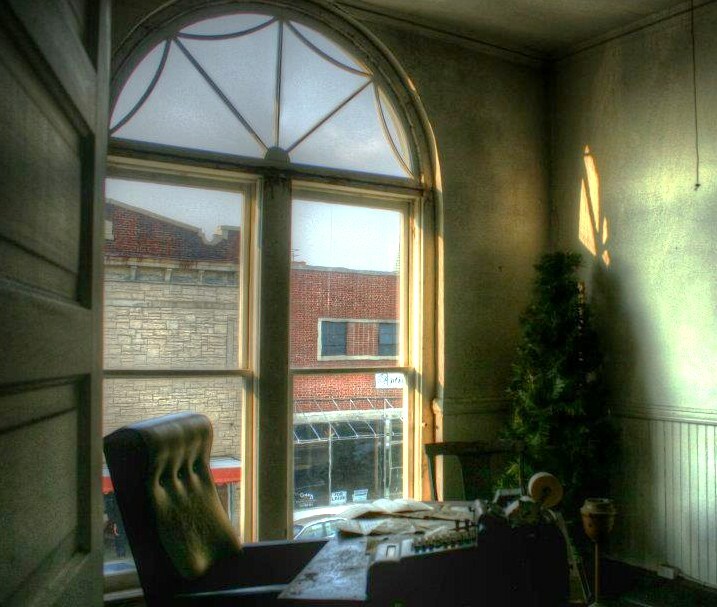 In 1860, William Rushing was ordained as minister of Liberty Hill. The last mention of John Lambert had been in 1848. He was in his late 70's in the 1850 census. There are three abandoned Lambert cemeteries in Stanly County. All are located in the West Stanly District. Lambert Cemetery Number 1 is located on Mission Church Road. My Dad was one of the people who surveyed this cemetery back in the 70's. There's about 30 to 40 graves there. The most prominent names are Lambert, of course, Almond and Eudy. Civil War Vet, John Quincy Lambert, son of John Jr., is buried there. Many people like to attribute the middle name of "Quincy" to John Jr., so although John Quincy was sometimes later referred to as a Junior, after his grandfather had passed and his father was the elder of the John Lamberts, I've never once seen any indication that John Jr bore the middle name 'Quincy'. Erwin/Irvin Almond, son of Pleasant Almond and husband of John Quincy's sister Piety Carolina Lambert Almond, is also buried there. Lambert Cemetery Number 2 is also located on Mission Church Road, near it's intersection with Coley's Store Road. It's an abandoned family cemetery near an "old homeplace". Nathan Lambert, son of John Jr. is buried there with about 29 other graves. It appears to have been in use from from the late 1870's through 1890's. L. McLure died 1886. This is Levina Almond McLure, daughter of Rebecca Lambert Almond. J. L Died 1860. This is believed to be the grave of Rev. John Lambert, grandfather of Levina Almond McLure. There is an unincorporated community in Stanly County called "Lambert". This is the area where primarily, the descendants of John Lambert Jr. lived, farmed and grew. It's near areas now known and Ridgecrest, Red Cross and Frog Pond. Lambert is now no more than a collection of homes and farms. The building of the Lambert Dance Hall still stands but has long been out of usage, but has been in use during my lifetime. Rev. John Lambert was the patriarch of a large, diverse and expansive family. His paternal ancestors were not Lamberts, however, but Pace's. His maternal ancestors may have been, and probably were, Lamberts. Next: What tales do the land records tell?